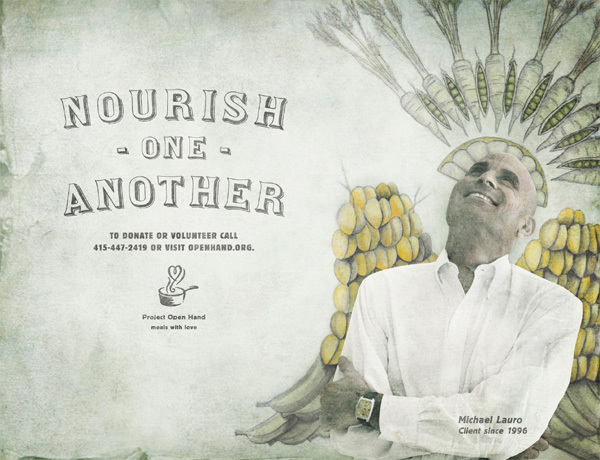 Project Open Hand is running a Bay Area print campaign called Nourish One Another to encourage donations for nutritional services and AIDS assistance. We took note because we often see this strange print ad displaying an ecstatic upward-looking man with wings and a huge halo. It took us a few days of nonchalant notice to realize the wings were made of - what are those, bananas? - and the halo was made of wheat. Then we thought, hey, that's clever and quaint in a pastoral sort of way. And it's also got this understated weirdness going on. 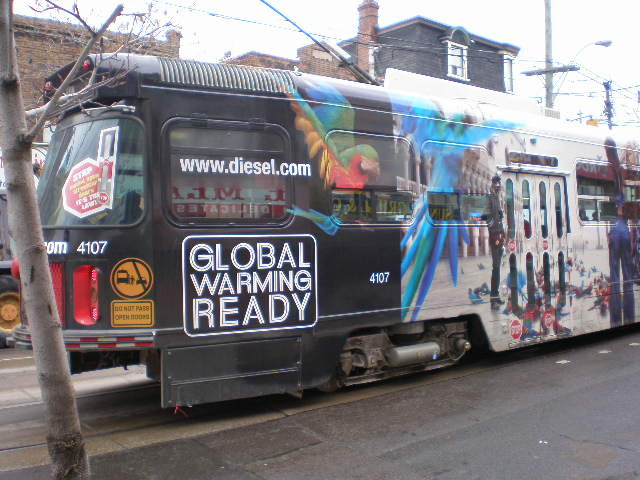 We always have to credit an ad whose details we learn over time, and not always intentionally. 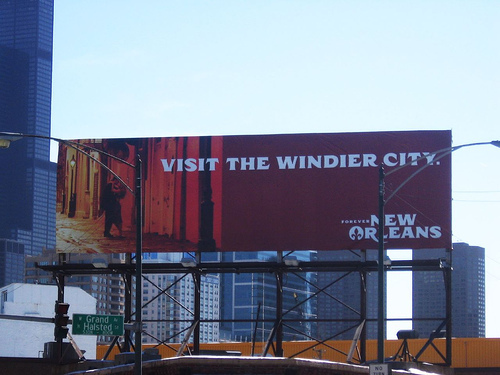 We suppose since a New Orleans entity created and placed this board on their own in Chicago claiming its famed status as the "windier city," it makes it all OK. Apparently the old adage holds true. Poking fun at your own misery is cool. Poking fun at other's ain't. 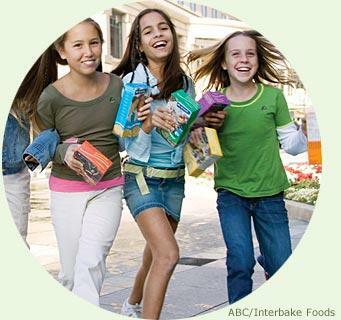 All of those cultural/political/behavioral rules aside, this is a succinctly strong and powerful advertising message. See a bigger version of the image here.